Planning on a family trip to Singapore? You may also find an indoor play park for your child to have some fun. 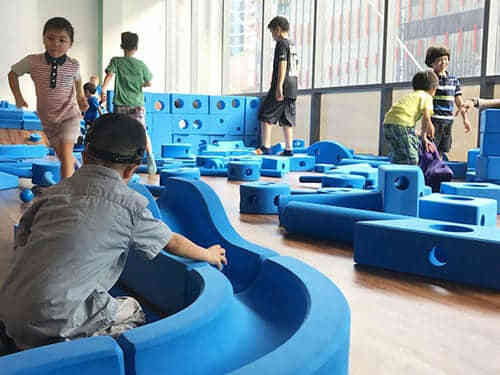 Then, the fabulous list of 30 best indoor playgrounds in Singapore can offer you a reference, I guess. The most attractive part of the Airzone is about the suspended feature, which also makes it a first concept premiering in the world. All the young and old kids will be absorbed in the distinct themed zones of Airzone. Also, they will feel like walking on the moon while they are playing on the suspended net. 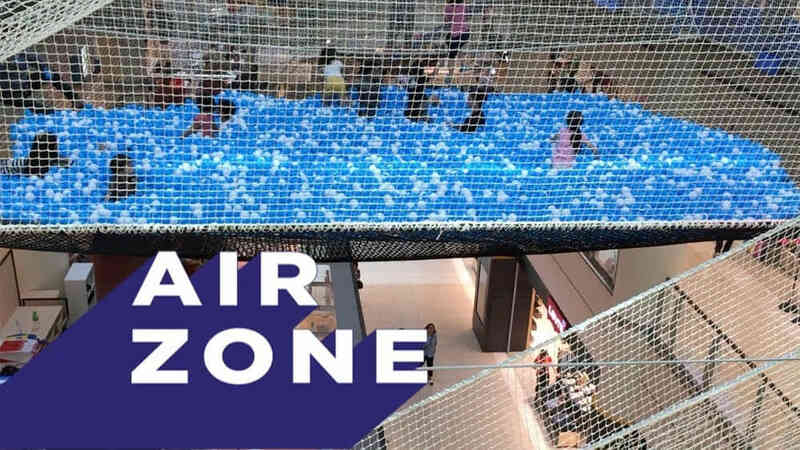 In the Airzone, there are many designated games, like Moon Walking, Ball Pit, The 3D Maze, etc. 3-D Glow Golf: while surrounded by motion props and the 3D glow-in-the-dark artwork, the dinosaur sections, pirates, and under the sea, will give you an excellent experience. Space ball: It is considered as the first spaceball room in Asia. Also, the spaceball room there has the electronic scoreboard and eight cannons. 8 players can be adopted at a time. Jungle play gym: the tunnels, suspension bridges, trampoline, ball pit, spiral slide, and wave slide there will bring kids of 3-12 age heaps of joy. Love ocean? Then the Aquarius cove may just suit for you! 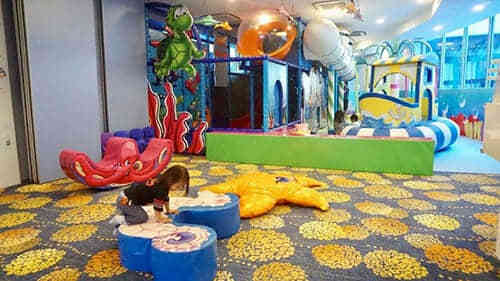 The Aquarius cove is an indoor play park with full decoration in Singapore. Stepping into the park, you may be enthralled by the colorful theme at your first glimpse. Also, the tunnels, bouncy castles, and a ball pit will take over your rest time there. Bouncing kids is committed to reminding families of a healthy lifestyle concept by their superb activities. Child of 1-12 ages can spend their time on the balancing beam, bouncing bridge, swings, slides, tunnels, tubes, mazes. Ensuring your child is under your supervision, then you can come to the DAT LITTLE CAFÉ for some latte and cakes. Bouncing kids also has the tradition to hold birthday parties or school trips for the kids. Busy tables is an indoor play park suitable for children from 0-6, and it combines education with the play. Through the facilitation, the kids and even the parents will get an experiential and holistic experience. Your child will learn some important skills, like collaboration through the playgroups. Also, kids can get the individual learning chance through the ONE-TO-ONE learning programmes. Go-go Bambini has indoor play areas as one of their attractions, and this playscape is suitable for kids of all ages too. In the indoor play park, you can slip down the tallest indoor slide in Singapore, also, you can go through the interactive panels, climbing walls, tunnels, ball pits, and a flying fox. The decoration of bright color and a single theme will provide you an exhilarating and vibrant environment. Creativity is their focus. Through creative free play and integrated programs, children will develop their creative ability. In this indoor play park, children will never get bored with the challenging sections of designing, experimenting, brainstorming, and risking. 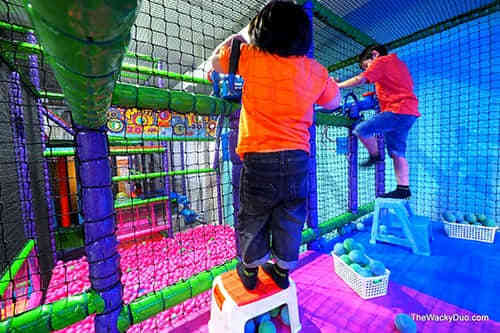 This indoor play park will prefer those extreme sports junkie to the faint-hearted. The kids zone suits for kids under 5, and the world-class airbags, wall runs, trampoline, dodgeball, will run out the energy of those junkies. Karepult usually hosts big events, like school outings, birthday parties, and team-bonding activities for groups. Kids are actually born scientists, all of them possess connate skills of innovation, investigation, and inquiry. But those skills always require exploitation, and in the kidsSTOPTM, kids will have the chance to enhance their skills by participating in those interactive and purposeful games. kidsSTOPTM runs with four themes-imagine, discover, experience, and dream, the child will get the education and the entertainment in this one-of-its-kind edutainment place. 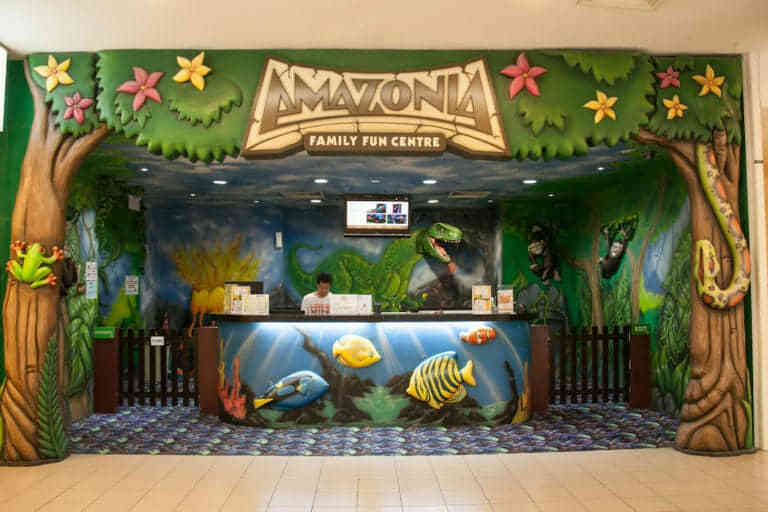 One of the largest indoor play parks in Singapore, you may not miss this place. It has kinds of games, suitable for kids from 18 months to 18 years. The reliable equipment there will be powerful enough to guarantee the safety of kids. There is also a special toddlers area designed just for the infant or toddler to go through the Playhouse & Playmaze. If you are eager to know about your ideal job or how to tackle the daily challenge and manage finances like an adult, you can get all these done in Kidzania. As an indoor play park living up to their edutainment faith, the Kidzania offers more than 80 different real-life scenarios to help kids experience different roles in our real lives. Through these acting roles, the child will be able to prepare, manage, and understand their word. 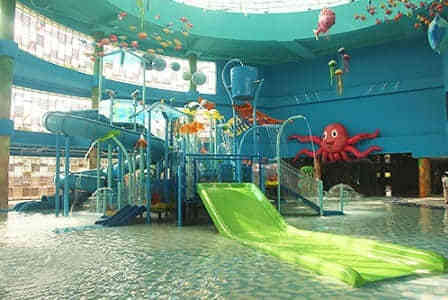 Address: Palawan Kidz City, 31 Beach View, #01-01/02, Singapore 098008. Acting as the largest integrated indoor play park in Singapore, the Kidzland own a big arcade game zone and lots of play facilities. Here, your kids can climb on the rainbow net, play on the beach, ride the carousel, and play the arcade games. Art activities are also available for kids, so kids are always able to find some joy regardless of their age. Intend to prepare an unforgettable party for your kids? Then you may get a customized plan from the Kidzland, which could be transformed into a great party soon. There are a wide variety of themes in the little planet playground, such as farm, kitchen & café, forest maze, marketplace, and castle role-play area. This indoor play park is suitable for a child of 0-12 ages. Those kids can unleash their imagination and creativity by engaging themselves in the role-playing, and interactive play. The arts & craft area in the little planet are an invitation for those longing for more challenges. My little giant is famous for their homely and special services provided by the staffs, and with the service in place, they are considered as one of the best indoor play parks. It works on creating a merry time for the kids and their parents, by providing safe and interesting games. Also, the nearby arcade amusement center will certainly tickle your interest. Games are always the expected things for kids, and they definitely won’t miss this point. The kiddy rides, ticketed machines, and mini ufo catchers are all on the table. Just properly designed for your child, pip’s playbox is a dedicated and cozy indoor play park, which you can find on level 4 at Esplanade. The craft station there can meet the demands of those little ones who are looking forward to creating their unique handicrafts. 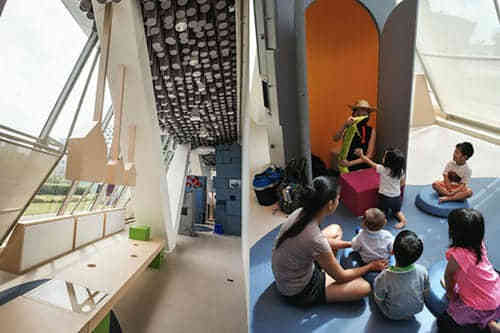 Parents and their children can read together comfortably in the personal reading space, from where they can find abundant children’ books written by illustrators and Singapore writers. 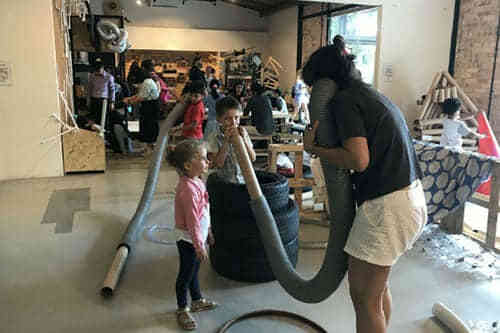 A wide range of activities available there, for example, you can devote yourself to storytelling sessions, esplanade’s festivals, and guided craft activities. Through these activities, you can find dynamic fun compared with those handicrafts and readings. Playolah is a destination for parents and kids alike. Tons of adorable toys and hygienic equipment develop the inquisitive mind and challenging spirit of kids when they are playing those indoor activities with their friends. Cars, trains, cassia seed pool, and ball pool bring your little ones a great excitement while developing the social cognition and sensory-motor of kids. 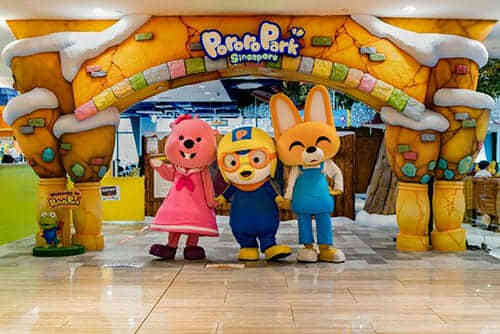 Outside of Korea, Pororo park Singapore will be considered as the first ever themed park in Singapore. 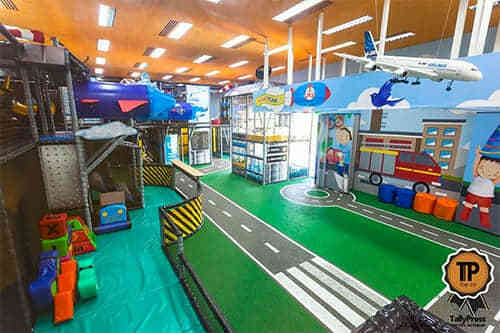 This indoor play park even has the train ride, which can be seen on certain TV shows. Hinoki pit: suitable for kids up to 12 months, and the little one under 3 should be accompanied by parents or guardians. This all-time fantastic sensory play, which comes from South Korea, has its humble starts here. kids of all ages will get multiple senses at once when they are having fun with the aromatic hinoki wood. Shark ball pool: dive into the shark ball pool just like the Mr shark! Kids can bury their daddy or play catch with their lovely mommy with the blue and white balls in the pool. In addition, kids can feed the friendly shark with those balls. Those balls will never disappear due to the feeding because balls in the shark’s mouth will slip by his throat to his belly. Pororo express train: this activity has a strict limit: only for children above 18months and shorter than 1.3m. no tickets, just hop in, strap in, hang tight and begin your speeding ride. 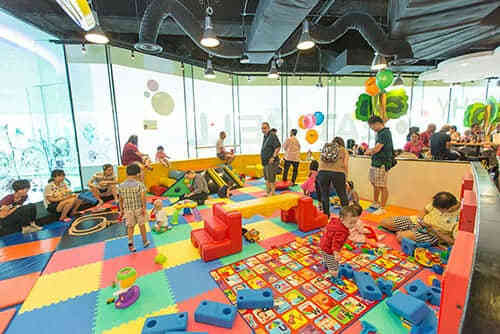 The all-in-one finish indoor play park in Singapore, which is hailed as the friendliest play park too. ‘Superparking lifestyle’ is a new wave of energy for the lifestyle scene in Singapore, and it spins fast globally. This indoor play park spans nearly 40,000 square foot, keeps providing 20 healthy, fun, energizing, exciting activities under one roof for the comers. Except for these 20 activities, there are three brand new games-iwall, superclimb, ninja track, on the way, which will be premiere in Superpark Singapore. 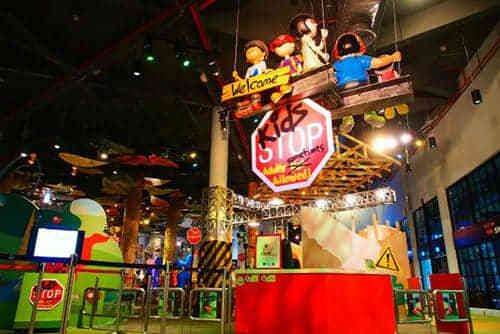 Adventure area: parents and their child will get an exciting experience with those adventure activities. They have loads of activities like pedal car track, kids’ adventure city, kids’ gym, flying fox, which can help the child find loads of fun. 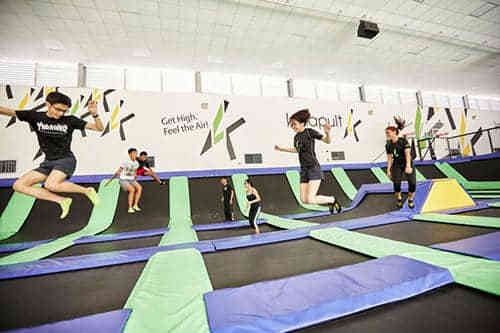 Freestyle hall: once join in those activities, teenagers will have no spare hands for their smartphones! 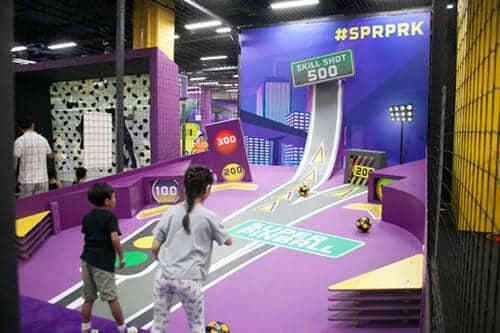 For example skate and scoot world, attack the augmented climbing wall, and bounce on the trampoline platform. And three coming game experiences will take those teens farther away from their smartphones, the three game experiences are iwall, superclimb, and new ninja track. Game arena: youngsters will be the focus in this arena. Kids can try their best to show their unique skills, and the radar or other digital systems will help them record their performance. Competing with the AI goalkeeper, honing their jump shot at street basketball, and swinging to stand in the baseball nets, these are all their favorite things. Every kid will get their own fun at Superpark, while they can join in tons of activities. Bubbling laughter, red cheeks, and beaming smile bring kids high quality bonding time in separate ways. If you want to host a birthday party or big events like team-building activities, corporate event, and a family celebration, then Superpark Singapore has the ideal party rooms for all of these events. As the first Tayo character-based indoor park in southeast Asia, the young and families can take an exciting adventure with Tayo. Kids can always engage in the pretend play surrounded by fun animation spaces, such as washn’ go and pump kiosk and iconic street scenes-garage. Also, you little ones will learn basic safety rules and various road signs, all of these will help them to know real-life scenarios better through an interactive and fun-filled way. The gani’s playground consists of 3-storey play system, which contains plenty of obstacles and two long slides. With those powerful supporters, the gani’s playground earns itself the highlight. The agility and motor skills of kids will get strengthened through a stimulating fun day. Party rooms for parties can be tailored to your needs, and that will be very convenient. As an award-winning interactive learning park, the city has always been aware of one thing that it is very important for kids of 2-8 years old to play high-quality roles. Kids get tons of fun and get educated through the first-of-its-kind ’edutainment’. 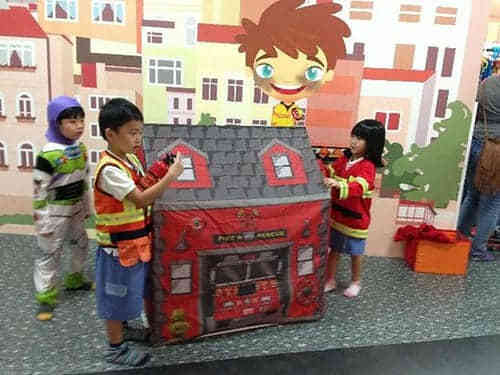 The small-scale locations in real life like a police station, post office, fire station, medical clinic, beauty salon, café, supermarket, are awaiting kids’ exploration. Playing in real urban scenarios and settings, kids are able to get their imagination and creativity stimulated. Kids will step into the shoes of different professions in a safe and fun environment. Children will feel happy to put on uniforms and pretend to be superheroes, postman, firefighters, teachers, nurses, doctors, cashiers, cooks. The city’s senior educators have designed the guided & pop-up activity sections, and in this edutainment section, kids will get lots of fun, along with educational gains. When kids are budgeting and shopping in the imitative supermarket, they can practice mathematics in a fun and efficient way. In the superhero room, all kids are encouraged to challenge themselves by collaborating as a team and solve problems. Every year, the city holds field trips and visits to many schools in Singapore. Through this kind of visits or trips, teachers can bring the real world into life for their students, so as to make up lessons delivered in classrooms. The city also does a great job of providing your child with a wonderful birthday party. Invitations, party food, party decor & setup, and free play are involved with the packages of a birthday party. Kids and their young guest can choose the packages they prefer. Active play: skills like balance, coordination, social participation will get a chance to develop fast when kids are enjoying the games in the active play arena. Pretend play: kitchen toys, fruit stalls, building blocks, wooden toys, eco-friendly, train track, all of these in this area will bring kids a happy time. And through these plays, children can develop their skills of innovation and imagination. Kids can create their fun memories by playing in this safe and comfortable indoor play park. They can get more social interactions and new friendships in the adventurous play area. 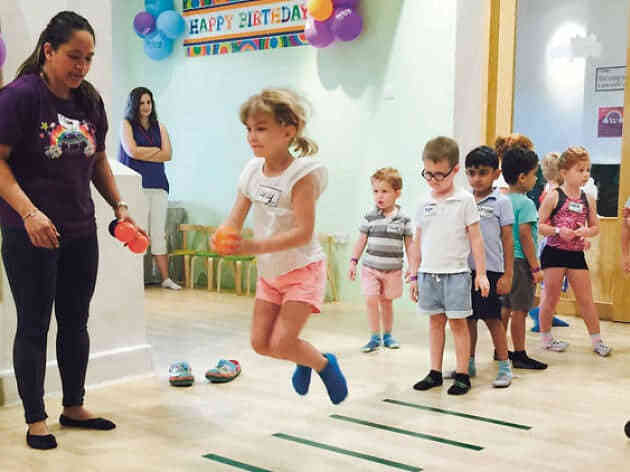 Usually, when you are delivering a birthday party or family celebrations, the skillful polliwogs fun ambassadors will help you to organize exciting activities that may also become part of your common sweet memories. Kids can get star treatments in all polliwogs centers when they are enjoying the games. Also, parents can get star treatments, because they can get coffee and internet terminals in the lounge when they are waiting for their children. Parents in the lounge don’t have to worry about whether their children are in safe or not, because the CCTV camera in the play area and screens in the lounge will give parents peace of mind. The Tiara Society provides your little ones with a chance to come true her fantasies as the princess. In the tiara society, your child has the chance to pick out their clothes from the royal wardrobe chamber, as well as don other princess accessories, tiaras, and shoes. Putting on the uniforms and transforming themselves into a princess, every little princess can unleash their creation and imagination in those different royal chambers. Additionally, making crazy handicrafts or just reading quietly at the reading chamber. Kids going to the tiara society must be 0- 10 years old. Most of the time, it is dedicated to girls, but boys are also welcomed. 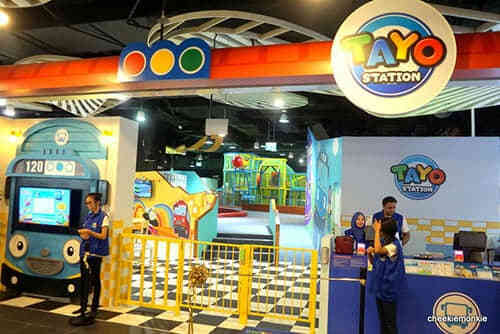 T-play is a kid indoor play park specially designed in Sweden, and it is also the most interactive park decorated with transportation theme in Singapore. Through its special activities, the child can get a lot of benefits in brain development, sense of direction, and motion coordination. In the interactive play centers, ball pits, trampolines, and various slides will push kids to play in no time. T-play has a variety of birthday party packages, with themes like “vroom vroom” and “choo choo”, the price of those birthday party packages start from $330. Waka Waka is an indoor play park with safari-theme, where you can go through the confidence-building barrier course. 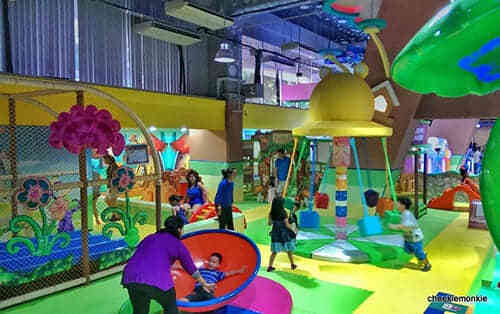 Kids aged 5 to 14 can get a fun new concept, as well as join in the celebration or the family bonding in this indoor play park. Through fun physical activities, such as auto-relay- rockclimbing walls, and giant wave slides, Waka Waka can help children enhance their developmental skills. The maze-like and the multi-leveled structure is navigated by gliding down giant slides, bouncing off trampolines, crawling through tunnels, scaling volcanoes. Attractions in this park mainly include toddler area, lion’s ben, adventure cove, safari play area. When the entire family is going to have a nice meal at bistro cool, cool de sac can offer an indoor play place for those children aged from 6 months to 12 years old. 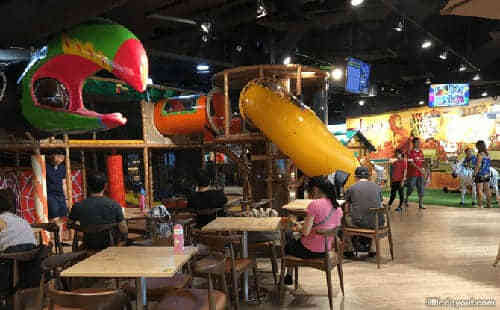 After a big meal, parents can have a long relax when children are engaged in those funny toys in this indoor play park. So both children and their parents will have a perfect time here. Play area: a large and safe area for kids of 3-12. Kids can have fun with all the thrilling tunnels and slides. Even more, spatial awareness and body coordination, which will be trained in these activities, are considered to be very helpful when kids produce handwriting, perform in sports, play with friends, and organize school bags. Treehouse: it is an adventure for the kids. When kids are exploring in the tree houses, they can build their agility in an adventurous way. During the exploration, kids may come up with lots of new ideas and put them into practice. This is important in building confidence for children. Tots: kids under 3 tend to play in this area. Many fun and adorable toys are waiting for crawling baby and toddler to play with them. Therefore, your little ones are able to improve their hand-eye coordination in this multi-sensory environment. 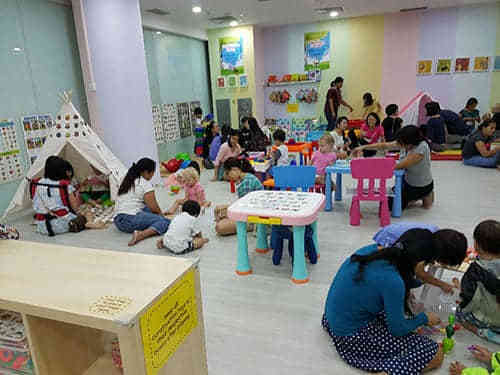 Fun n laughter is a one-stop indoor play park in Singapore, due to this, play, retail, party facilities, and nursing room are all available there. At this indoor play park, shopping and coffee are available for mummies and daddies. As one of the best indoor play parks in Singapore, this park promises a safe and quality environment for kids to play leisurely. Furthermore, trampolines, bamboos game, in-house pandas, ramps and cannonball blaster, aerial runway, wave slides, together make an edutainment environment for kids. 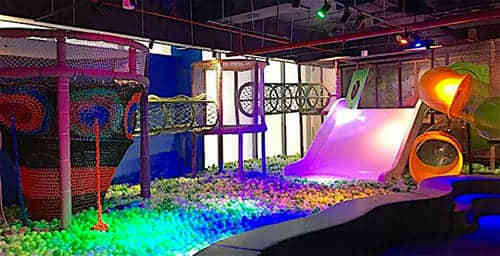 The joy of toys is a specialized indoor play park in Singapore. It has combined the fun toys with the conducive environment. Furthermore, they are trying to provide families with a relaxing and fun area, as well as high quality plays. There are two play spaces navigated in the park, include main play space and toddler play space. Then, the main play space has two subspaces-structured play area and open-ended play. The structured play section suits for school-aged children or preschoolers. Kids can have a great time with family games, brain teasers, and developmental toys. The open-ended play section is also opened to school-aged children and preschoolers. In this section, the pretend and role play are the highlights. Children can be immersed in food play, doll play, and miniature play. Toddler play space caters to crawling babies and toddlers. This place is a simplified version of the main play space, and kids will crawl in a safe, baby-proofed environment. This small place enables parents to have full supervision when their little ones are roaming around or exploring some toys. Playeum is the first children’ center for creativity in Singapore. In this indoor play park, children can play with their friends in a natural environment. Most importantly, those games in this park will help children to inspire their creativities. Playeum is a registered charity, and this makes it no like others. They are committed to providing every child with tons of fun once they need it. As the first indoor play park with a “pirate” theme in Singapore, pirate land is trying to bring children and families as much fun as they could. Furthermore, this indoor play park spans 8,000 square feet, where includes numbers of facilities. Besides this, a maze of play elements is available for children. For example, toy bricks street, indoor simulation sand play, jungle gum, plastic pall pond, ocean animal projection drawing, trampolines, bouncing house, kitchen square, and supermarket. All of these plays are important for physical, emotional, social, and intellectual growth. For those infants and toddlers, they have a specialized area for them to crawl and play. In this special area, the little ones can develop their gross motor skills. Alternatively, the parent-child battle at tank sections, racing car, and laser tag will bring parents and kids a lot of fun. Also, parents can experience the VR section. This entry was posted in blog and tagged indoor play parks.